When I pulled up the PodcastOne website, I did not expect to see a new Top 10 show ready to be watched. This is Monday night and they never drop their show this early. I was so happy because this was going to work out so much better for me. Tomorrow is going to be quite busy so tonight was a great chance to listen to Matt and John. The show this week was the Top 10 American Remakes of a Foreign Film in honor of the Kevin Hart/Bryan Cranston film, The Upside. I was doing some research as I was listening to the show (By the way, John was ridiculously funny during his story about his car troubles at Christmas) and I was able to compile the list. #10. The Ring. 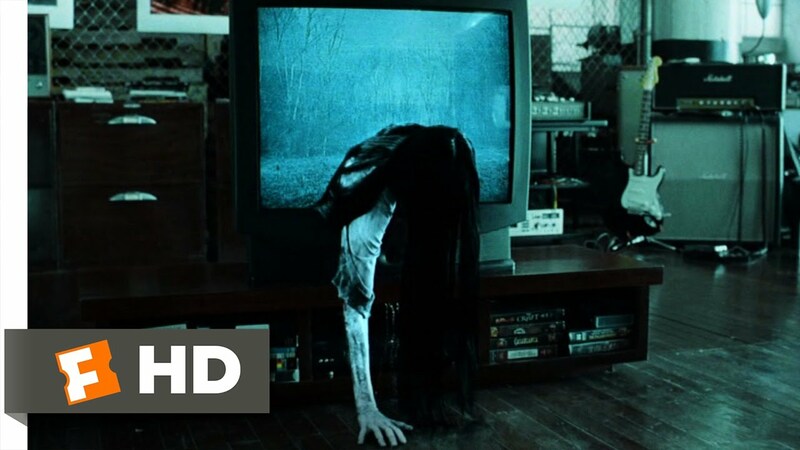 The remake of the Japanese film, Ringu, The Ring was a great concept and one of the truly scary horror movies of the early 2000s. Most of the sequels or remakes of this did not reach the level of this film. This scene of the woman crawling from the television is iconic and sincerely frightening. #9. Vanilla Sky. 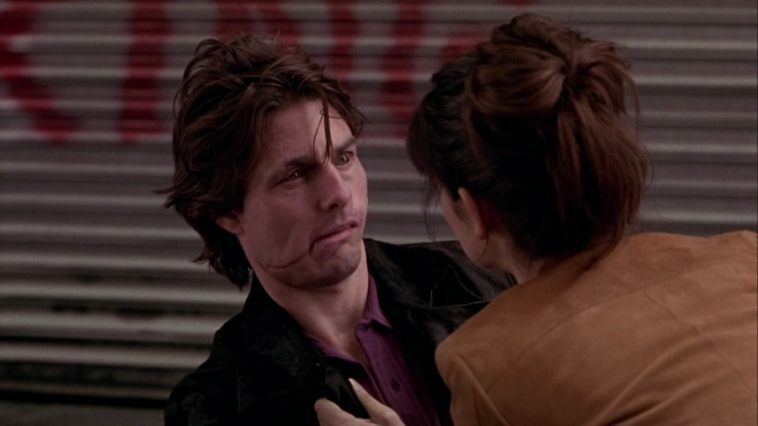 The weird Tom Cruise future film is a remake of the Spanish film, Abre los ojos. Cruise rejoins his director of Jerry Maguire, Cameron Crowe, for a psychological thriller that keeps Cruise, as well as the audience, off balance for what exactly was happening. Cruise and Penelope Cruz are great in the film and it is a great film. #8. Three Men and a Baby. You have Tom Selleck, Ted Danson and Steve Guttenberg with a little baby girl in a fun comedy directed by Leonard Nemoy. Three Men and a Baby is a remake of the French film, Trois hommes et un couffin. Selleck, Danson and Guttenberg are great together and play off each other with amazing chemistry. The story is a bit cheesy, but it is funny and it is engaging and you can forgive some issues. #7. The Girl with the Dragon Tattoo. This film features Rooney Mara as Lisbeth Salander and Daniel Craig as Mikael Blomkvist. This was a remake of a Swedish film called Man som hater Kvinnor. Many people believe that the Swedish version is better (I have not seen that one) but I did enjoy the American film. Rooney Mara was strong as the vengeful investigator with trust issues. #6. Some Like It Hot. One of the classics of American cinema, Some Like It Hot was a remake of the French film, Fanfare d’amour. 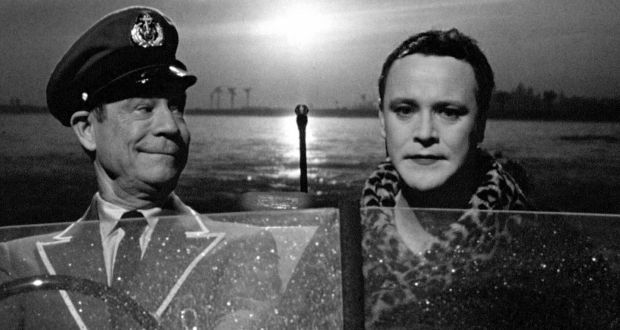 Tony Curtis and Jack Lemmon are a perfect pair in this movie that is very funny. Marilyn Monroe is in this movie as well and I was impressed with her work. I have not seen a lot of films with Monroe, but she was very solid here. She and Curtis worked well together. 1959 film was directed by Billy Wilder. #5. Insomnia. 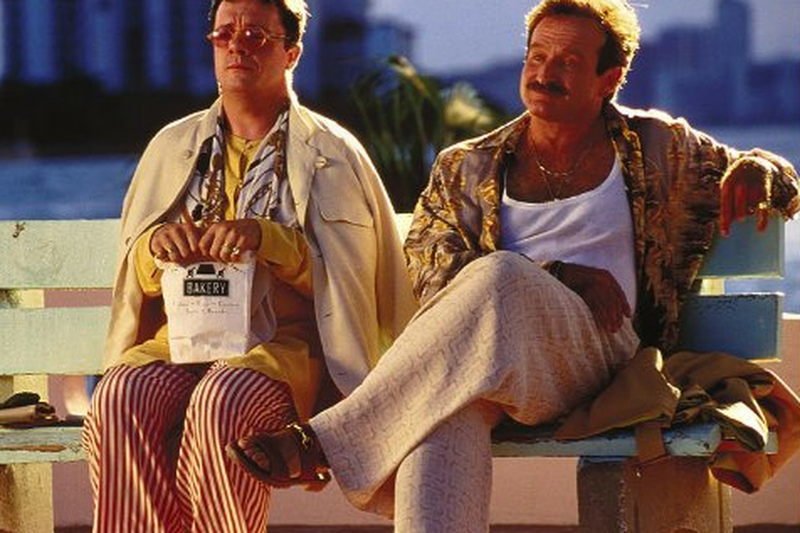 Robin Williams in a role that was unlikely at the time. The chaotic comedian became the cold and calculating villain of the movie. Insomnia is a remake of a Norwegian film also called Insomnia. 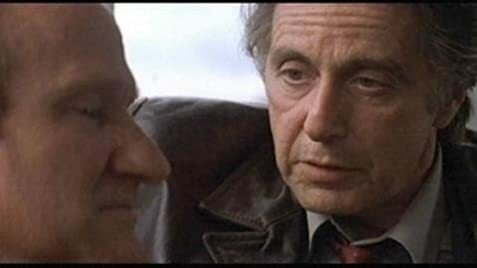 Al Pacino and Robin Williams work very well together and Hilary Swank balances them out. #4. Godzilla (2014). Another movie that many people did not like, because they thought that there was not enough Godzilla. I did not agree, but I can understand the thought because everyone agrees that the last half hour of this movie was unbelievably awesome with Godzilla monster fights. This is, of course, the remake of the classic Japanese film, Gojira, and has lead into a new series of monster movies. #3. Twelve Monkeys. The great Bruce Willis movie featuring time travel and confusion over what exactly was happening or when it was happening. 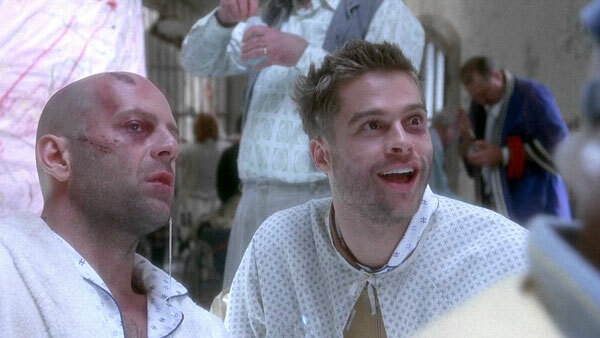 Twelve Monkeys featured a wacky performance from Brad Pitt. Twelve Monkeys, directed by Terry Gilliam, is a remake of the French film, La Jetee. #2. The Birdcage. Of course, this is a remake of the Franco-Italian film, La Cage aux Folles. This features the wonderful pairing of Robin Williams and Nathan Lane as a homosexual couple who have to try and cover up their lifestyle to help out their son with his soon to be in-laws, the conservative senator Gene Hackman and his wife. The movie was very funny and it had a lot of heart. #1. Beauty and the Beast. This might be a bit of a cheat, but, in my research, I found that there was a French film in 1946 called La Belle et la Bete and that a lot of the parts of this animated classic was taken from this and not just the fairy tale it is based on. And Beauty and the Beast is one of my favorite animated Disney films of all time. I love the music. The characters are great. Gaston is one of the best Disney villains around. Beauty and the Beast is just such a tremendous movie. Honorary Mentions: True Lies, Fatal Attraction, Magnificent 7 (2016). (I never saw the original).